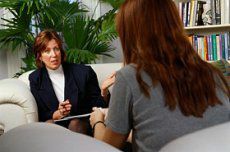 Cognitive Behavioral Therapy for addiction, also known as Cognitive Behavior Therapy or CBT for short, is a type of “talk” therapy, based on the psychological principles of behaviorism - which is about how people's behaviors can be controlled or modified, and theories of cognition - which are focused on understanding how people think, feel, and understand themselves and the world around them. Behaviorism focuses on the behaviors or actions a person takes, whereas theories of cognition focus on people's perceptions -- what they see, hear, and feel, their thoughts, and their emotions. CBT is a variation of behavior therapy, which focuses on changing behavior through pairing positive and negative reinforcement, or rewards and punishments, with behaviors that the person wants to increase or decrease. The human experience of cognition includes our perceptions, thoughts, emotions and understanding. This includes everything that comes into our mind through our senses, or through the way we think or feel about our past experiences. Adding analysis of cognition to behavior therapy led to the development of cognitive behavioral therapy by taking into account people's thoughts and feelings about their behaviors. Instead of just observing and controlling behaviors, there is also attention paid to what is going on in the mind of the person, and how those perceptions, thoughts, and feeling lead them to behave in particular ways. CBT particularly explores the conflicts between what we want to do and what we actually do. Addiction is a good example of this kind of conflicted behavior - we might know what is healthy and safe, which is to avoid addictive behaviors and substances, yet we choose to go ahead and engage in the behavior anyway, sometimes leading to very upsetting consequences for ourselves and other people. And while people with addictions may regret these behaviors, it can be hard to stop repeating them, sometimes without the person really knowing why. Addiction is a clear example of a pattern of behavior which goes against what the person experiencing it wants to do. While people trying to overcome addictive behaviors will often say they want to change those behaviors, and may genuinely want to quit alcohol, drugs, or other compulsive behaviors that are causing them problems, they find it extremely difficult to do so. According to the cognitive behavioral therapy approach, addictive behaviors, such as drinking, drug use, problem gambling, compulsive shopping, video game addiction, food addiction, and other types of harmful excessive behavior, are the result of inaccurate thoughts and subsequent negative feelings. Cognitive behavioral therapy explains this by clarifying the way that people’s thoughts and emotions interact. Psychologists realized that many of us have thoughts, based on beliefs that are untrue, unrealistic, or impossible to live up to, and these thoughts, in turn, cause negative feelings which feed anxiety, depression and conditions like addiction. By systematically recording our thoughts and associated feelings, along with the events that trigger those thoughts and feelings, and the behavior that we carry out as a result, we can begin to change the automatic processes that sabotage our efforts at changing our behaviors. By looking at patterns of thoughts and feelings that we repeatedly experience, we can begin to change those thoughts by consciously looking at situations in more realistic ways, that do not automatically lead to negative emotions and resulting cycles of harmful behaviors. By rewarding ourselves for the healthier behaviors we replace those harmful behaviors with, over time, the healthier behaviors become associated with more positive emotions, and become more automatic. CBT has an excellent track record, with numerous studies demonstrating its effectiveness in treating depression, anxiety and other conditions, including addiction. The CBT approaches that became popularized towards the end of the 20th century are themselves being refined and replaced by so-called “third wave” of behavior therapy, which focus on mindfulness, acceptance and being in the moment. These approaches include Acceptance and Commitment Therapy (ACT), Dialectical Behavioral Therapy (DBT), Mindfulness-Based Cognitive Therapy, and Functional Analytic Psychotherapy. Burns, D. Feeling Good: The New Mood Therapy. (Revised Edition). HarperCollins: New York. 1980. Burns, D. The Feeling Good Handbook. (Revised Edition). Penguin: Harmondsworth. 1999. Ledley, D., Marx, B. and Heimberg, R. Making Cognitive Behavioral Therapy Work. New York: Guilford Press. 2005. Linehan, M. Cognitive-Behavioral Treatment of Borderline Personality Disorder. New York: Guilford Press. 1993.